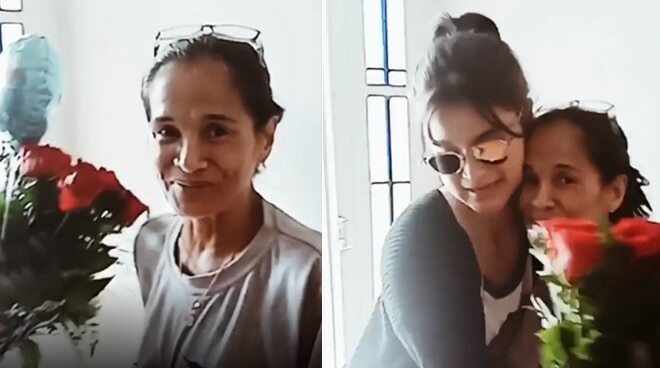 Anne Curtis didn’t fail to surprise her mother when she flew in from the Philippines to personally check on her at their home in Melbourne, Australia. In a post on her Instagram account this Monday, the It’s Showtime host said that the surprise visit was her way to make up for her absence as her mother Carmen underwent an operation while she was busy touring for a concert series in Canada. “As you may know, I have a crazy schedule but sometimes simpleng lambing na parinig is it all it takes to book a flight agad agad. Jasmine [Anne’s sister] also flew home so we can help our brother Tom, take care of her whilst recovering at home,” she wrote. Anne said that she will be staying in Australia for a few days to assist in her mother’s recovery. “Thank you to my Showtime and ABS-CBN Family for understanding. I’ll be back Saturday. Back to being a dutiful daughter muna ako. Love you mama [Carmen]. Good job [Jasmine] and [Tom] keeping it a secret. Akala nya food delivery,” she added.